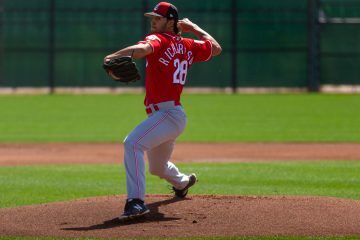 The Cincinnati Reds catch a lot of flak for their inability to develop pitching. And for the most part that flak is warranted. They have, however, been more successful at developing relievers than they have been at developing starting pitchers. This season the Reds farm system has had a few relievers stand out. One of those guys in Ryan Hendrix. He certainly hasn’t come out of nowhere. Last season in Dayton and Daytona he combined for a 2.90 ERA in 62.0 innings. That came with 29 walks and 88 strikeouts. The numbers overall were strong. But, in the second half of the year with Daytona he walked 19 batters (3 intentional) in 27.2 innings with 27 strikeouts. He kept runs off the board at a solid level, but his walk rate jumped up big time and his strikeout rate, while still strong, fell off in a big way from where he was at in Dayton. 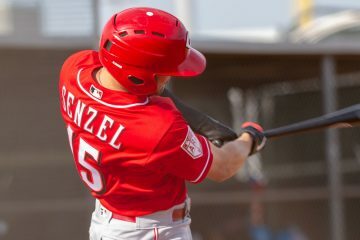 The Reds sent him back to Daytona for the 2018 season. The 23-year-old ran into some of the same issues in the first half of the year that he had in the second half last year. Through June he had posted a 1.47 ERA – an outstanding number. But in his 30.2 innings pitched he had 19 walks to go with 43 strikeouts. Once again the walk rate was simply too high – but the strikeouts jumped up and he was simply dominating hitters when they did swing the bat. Things have flipped to a different level since the start of July, though. The ERA has gone up for Hendrix – jumping to 2.20. Where the big strides have come are in the control department. In the 16.1 innings he’s pitched since July 1st he’s walked three batters and he’s struck out 30 of the 67 hitters that he’s faced. The numbers are strong for the entire season, but they’ve been elite in the second half with Daytona. But it’s not just the numbers. He’s got big time stuff to go along with those numbers. Last week Baseball America released their best tools list for each of the full-season leagues in the minors. He was named as the best reliever in the Florida State League and also got the nod for best breaking pitch (in this case, a curveball) in the league. Toss in that he throws in the mid-90’s and has touched triple digits and what he’s shown in the second half warrants keeping a close eye on. Nice update Doug. There may soon be room for and a need for Ryan Hendrix. I’m not sure Hernandez and Peralta will be in the Reds pen long term, and I’m hoping Reed gets a shot at the rotation and thrives there. If Hendrix could carry those numbers to Cincinnati, how good would Iglesias, Hughes and Hendrix look at the back of the bullpen? Daytona is still a long way from Cincinnati but do you expect Hendrix to start 2019 in Pensacola? There’s next to no chance he’s going back to Daytona next year. I’d say it’s likely he winds up in Pensacola to begin the year, though maybe there’s a 5% chance he could jump to Louisville. Unlikely, but not impossible.